My family welcomed the coming of tractors and passing of the days of farming with horses but still idealized the horse and cattle and just farmed to feed them. I grew up on a ranch with a log building we called the buggy shed and a ride-in tack and harness shed full of quality saddles and other horse gear, some of it very old. As I was growing up I admired leather horse equipment and hardware and collected any spare rings or buckles I could find and added them to my collection. I used to spend time in the saddle shop admiring the leather and rope knots that assembled the tack we used. This heritage eventually led me to building saddles and tack (1996), and to appreciate the very best quality in leather and workmanship. In a day when top quality is sacrificed for profit we hold the line, offering only the best we can make and sell. 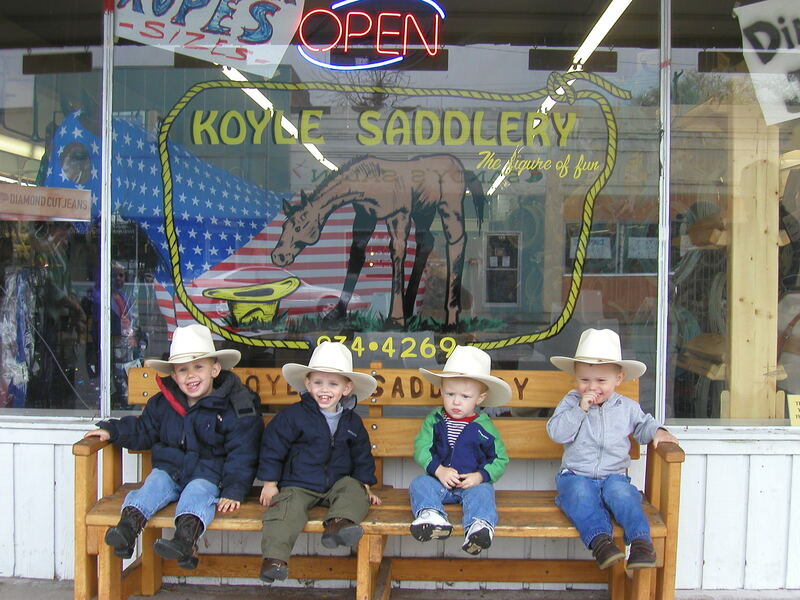 Koyle Saddlery is also Pappy’s Dubbin and we make it from scratch like they did a hundred or two hundred years ago. We make it here on our location in Gooding, Idaho. In our saddle shop we used a Dubbin product I bought called Fitsimones Premium Dubbin made in Montana. After using it for four years, one day my son Jaxon informed me we were running low and I would need to reorder. When I called to reorder Jim told me he had closed the shop and was working at the newspaper. You’ve heard the line, “I liked it so well I bought the company”, well that’s how it happened and we changed the name to Pappy’s Premium Dubbin and since then have made, used and sold Pappy’s Premium and Liquid Dubbin (Premium Lite). We have developed a water resistant dubbin we call Pappy’s Bee Dry Dubbin and a soap product used for braiding, cleaning and maintaining rawhide, we call it Pappy’s Dubbin Cousin (For Rawhide). The products are unique and proven. We hope you enjoy them as much as we do, for we continue to be consumers ourselves. Koyle Saddlery was one of the first tack shops online but due to unstable ways of the early internet we lost our stores three times as companies disappeared from the web taking our work with them. The demand for shipping our Pappy’s Dubbin Products has led us back online and we look forward to making our way in this big world that is ecommerce. Our goal is to serve you well and provide products that make us feel good when we sell them and we can have confidence you will appreciate using them. Thank You for visiting.